I absolutely love the Cream of the Crop Hand and Body Cream. and again in the evening that's all I need. Everyone I work with is using the store lotions after washing their hands every time. I also love the Best Foot Forward. Its great. I use it every night before bed and it has softened callouses that I have had for years. and have finally found the cure. that I bought, is the best soap that I've ever used. but this soap doesn't and gets me really clean. You can feel the cleanliness on your body. I would suggest buying the soap. Steve S. - Whitehall, MT. great for chapped lips, I thought, maybe, someday, don’t really need it now. and once they get into bad shape, it’s tough to get them to stop peeling. I wear sandals a lot during the summer. to the point I had a hard time walking. I tried Best Foot Forward. It didn't take long to heal up my feet. I love the Cowgirl Hand Cream. It healed my hands in just one week! 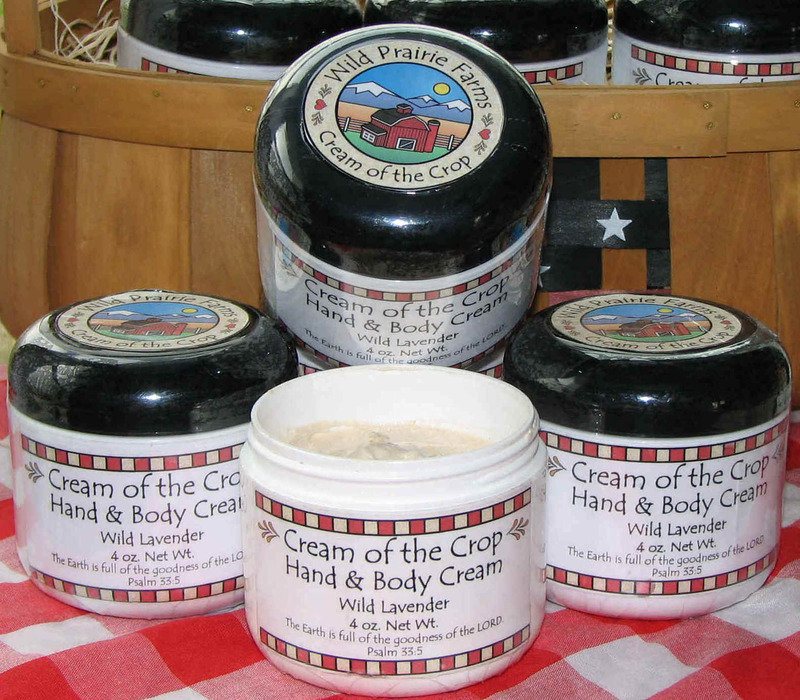 I've been using several of Wild Prairie Farms products for almost a year now. 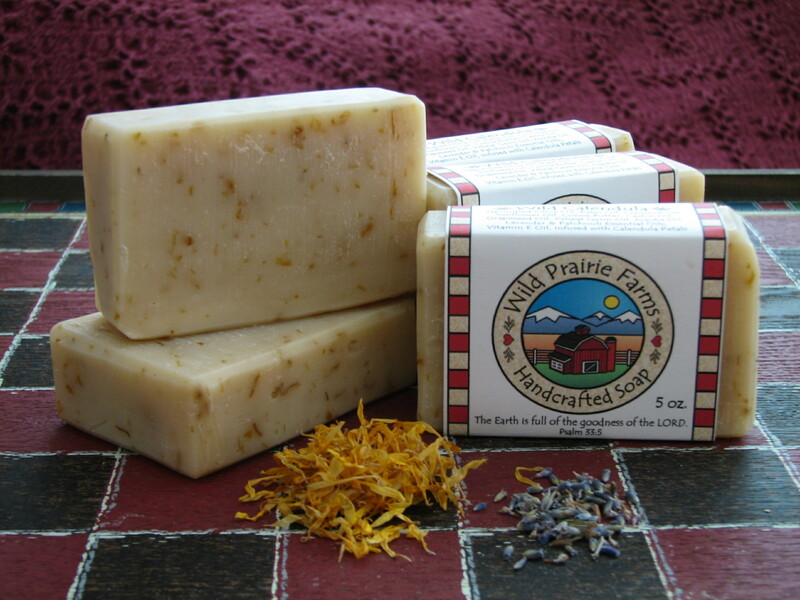 I truly appreciate the integrity that goes into each Wild Prairie Farms product. The right ingredients for each application are researched diligently and effectively. 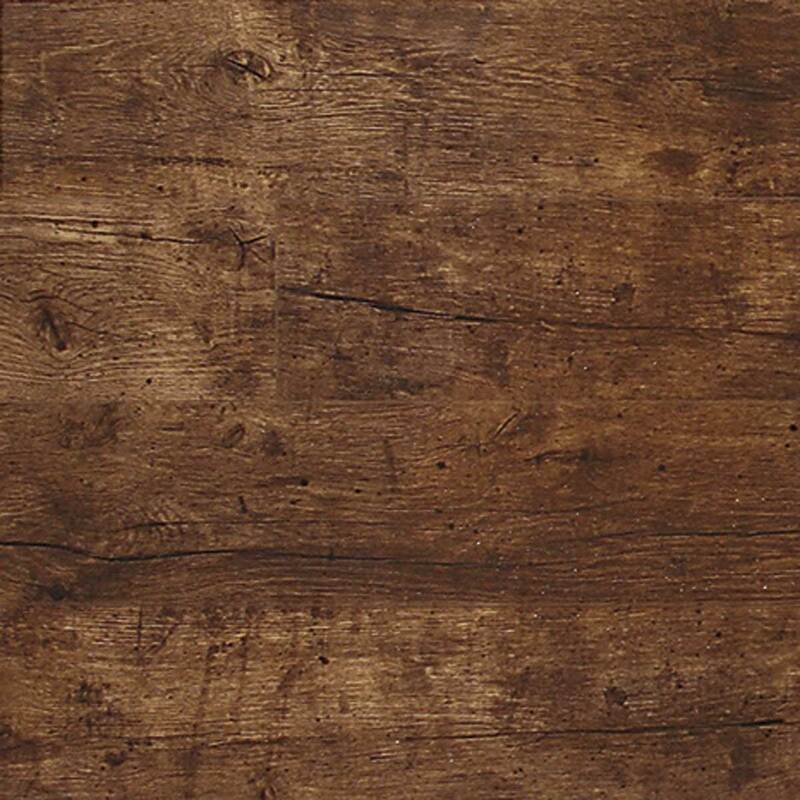 has a variety of pleasant aromas. and let me tell you how great this product is. I use it in the shower, and it is an excellent exfoliant! I have tried many products to achieve the result I got with just one of your bars of soap. I will be a loyal customer!! I also received one of your soy candles and they smell YUMMY! I can't believe how long they last! Thanks again for your great products! We are so glad to finally see you on the internet! Now we have a quick and pain-free way of ordering your wonderful products! Wild Prairie Farms, YOU ROCK! Niki R. - Thousand Oaks, CA. and have found that they have helped clear up the summer heat rashes I get around my ankles. I especially like the rich lather and soft fragrance. are all made with natural ingredients and with love. and I hope that they will be around for a very long time! I've been extremely satisfied with everything I have! 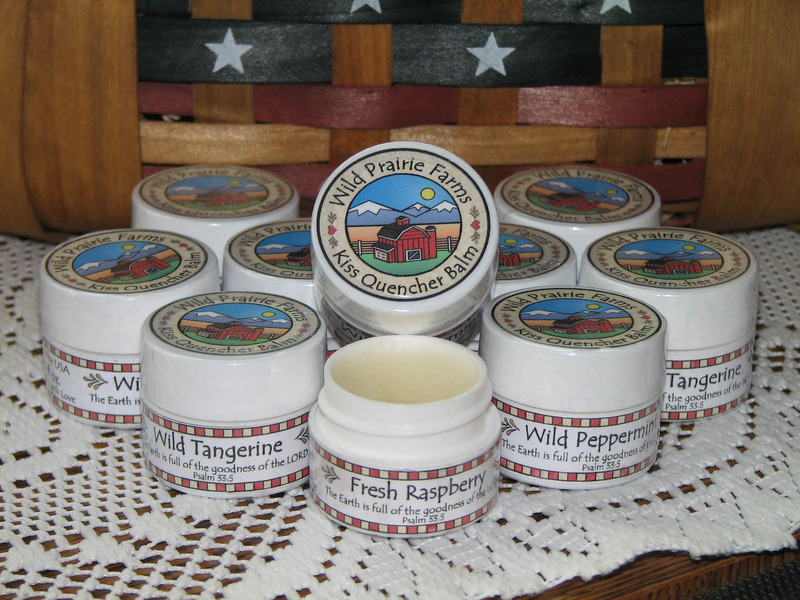 I love the Wild Peppermint Kiss Quencher Lip Balm - it's amazing for chapped lips! I also enjoy the Vanilla Cookie and Wild Orange Hand and Body Lotion. It smells edible! 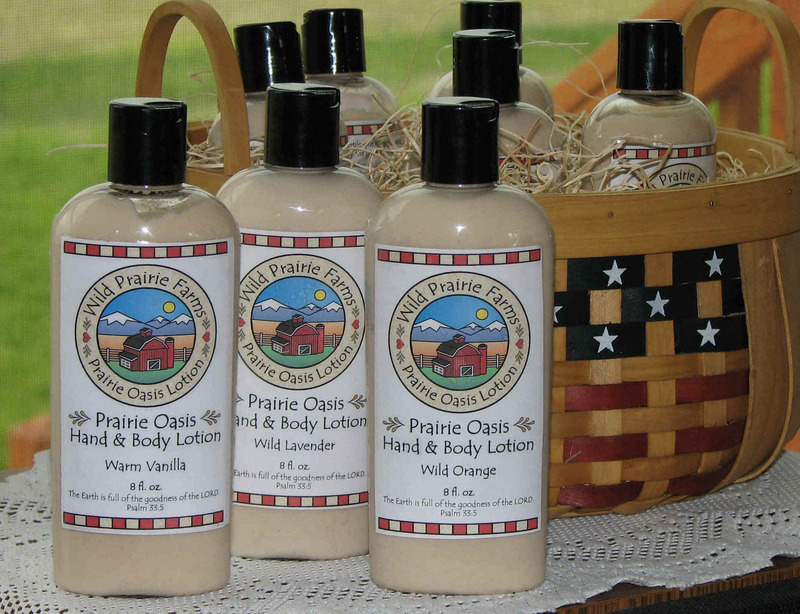 The lotion is also very moisturizing and smoothing - especially on hands! Copyright © 2018 Wild Prairie Farms .